The New Welch Allyn Insight Binocular Indirect Ophthalmoscope is the latest offering in a line of world-class ophthalmic instruments to help you enhance fundoscopic exams at an affordable price. This full-featured, affordable BIO weighs in at 1.1 pound, the lightest weight BIO on the market, and is designed with a rechargeable lithium-ion battery pack and unique, wirless optics system for the comfort and control you need. ColorSoft™ LED technology is optimized within the color spectrum and is softer for improved patient comfort. 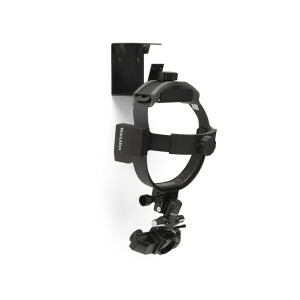 The ergonomic FlipUp™ optical system mount and on/off design eliminates the need for an overband and helps ease adjustment during an exam; light source is on when the optical system is pulled down and in operating postion, then powers off when flipped up. Features an industry leading 10 year warranty!